Posted 8/19/2013 5:12pm by Shiloh Avery. Nathan bundled up in August! August. The eighth month of the year. Akin to augere to increase. Usually that means an increase in temperature. But this year it seems to mean decrease in that department. Gretchen left us last Saturday to move on to higher education. So now we are three. So August, this year to us, means an increase in workload. But August also means for me a shift to auto pilot. By this time in August, we’re nearly finished sowing the fall crops. My computer no longer lists an impossible array of tasks to accomplish, so we adjust to blindly plugging along, following a measure of routine. By this point, we’re in a groove with each other. We move in graceful arcs around each other in a semblance of a dance we could do blindfolded. I have more and more days where my mind just draws a blank. I don’t mean stupidly (though I have those days too), but comfortably: days when you just can’t find anything to fret about. Perhaps it’s some sort of resignation, but it feels more akin to acceptance. Where things are just set in motion and you refuse to worry about them anymore. I’m having one of those days, well, weeks, maybe even months. I am aware, somewhere in my conscience, that there is still some scrambling around left to do, still some large projects looming, but I can’t resist the ease of cool evenings, open windows, and the front porch. It’s an alluring lullaby, the end of August. More and more fields trade in their feverish reproductive fervor for a simple cover with no expectation other than to hold onto the soil over the winter and hold onto hope for the spring. Even the buckwheat with its whirring metropolis of insects scrambling to store enough sugar for the winter season sounds like a sigh. Posted 8/12/2013 5:21pm by Shiloh Avery. Things are looking up! We dried out enough to get into the fields to plant fall crops. I am an escape artist. Just call me Houdini. Well, no, not that kind of escape artist. I am the kind of escape artist whose motto is “when the going gets tough, the tough read fiction.” Lots of fiction. Lots of young adult dystopian fiction. I dive into those dystopian worlds with fervor greater than that with which I dive into peppers. And that’s saying something. But you see, the problems and challenges in those worlds are tangible and far greater than any we might face here on the farm. And the heroes of young adult fiction almost always overcome. Despair and redemption on a grandiose scale that somehow manages to convince me that our challenges here are just really not so bad. I devour you with an astounding ferocity. My mind craves you r release from my mundane pain. Your pain is always well deserved. Posted 8/5/2013 5:52pm by Shiloh Avery. I noticed yesterday that there’s been a dearth of laughter around here. It seems we’ve been taking everything just a bit too serious lately. I noticed yesterday because I spent it hula-hooping and dancing and just engaging in general fun. It was a day in which laughter abounded. In a season with as many challenges as this one has provided, I guess you just put your nose to the grind stone and forget to look up and enjoy living sometimes. I’m making a mental note to do that more often. Because really, when it’s not raining (which isn’t that often I know, but still…), the weather has been catastrophically perfect. Breezy, sunny with big puffy fun clouds meandering along, and not very hot. Perfect for bubbling laughter. I might even make us some hula hoops to hang about as gentle reminders to just stop and have a little fun sometimes. Posted 7/29/2013 7:08pm by Shiloh Avery. I just answered a questionnaire that asked me, among other things: what’s your favorite thing about being a farmer. I’ve been thinking about that a lot lately. There’s this little nugget of satisfaction inherent in growing food for people. Food is so many things to us. Food is one way to experience different cultures. Most of our gatherings are based around food. When someone in our community is suffering, we bring them food. Because most importantly, communities are built around food. I’ve never witnessed that more than this year. As the farming community suffered one weather calamity after another, the community built around local food has reached out and offered up the metaphorical casserole. You’ve purchased shares, you’ve come out to weed, you’ve proffered smiles, hugs, humor, and plenty of encouragement. A few of you even slogged out through the incessant downpour on Saturday to support those intrepid farmers who dragged their humid harvest down to sell. I just wanted to say “thanks”. Thanks for being what I love most about being a farmer. Posted 7/22/2013 6:17pm by Shiloh Avery. I am not usually a procrastinator. I don’t have time to be. At least for those things I don’t absolutely hate doing, I’m not. 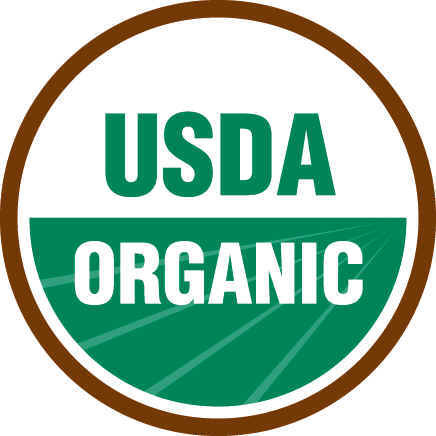 And the massive amount of paperwork involved in organic certification is one of those things. Yep, you got me. I have a secret penchant for paperwork. Something about filling in all those little check boxes just gets me giddy. And this year, under a new regime down at our certifier, we had to go back to the long application so there are even more of those little boxes to check! But also, I somehow let the deadline sneak up on me until I found myself madly pushing papers around in my office attempting to pull it all together in a matter of days. Yikes! Thus, I am here by sending the blog on a week’s hiatus while I pile paper in a heap and get them to the certifier by, gulp, Friday. Posted 7/15/2013 5:24pm by Shiloh Avery. The sun is shining! What more can I say really. These past few weeks have reminded me of the Jack Johnson song that goes “sometimes the heart is no place to be singing from at all”. It has all felt a lot like a losing battle against things we cannot control (despite our extreme efforts). For months, nothing has dried, our puddle tadpoles are getting large enough to turn into frogs, and I feel like there’s mold on my soul. And mud on my soles. Plenty of it. Would that we had grown rice this year. Alas, we didn’t. But around here, despair prompts action. And we have a plan. A plan to rescue the farm from the jaws of this season’s would be defeat. There’s so much hope and faith in a plan. It settles the stomach, scratches the itch, and focuses the mind. The concrete steps laid out before us in a plan allows us to just keep putting one foot in front of the other, heads down, eyes on the steps in spite of the fog of despair that might otherwise cloud our vision and get us lost. Posted 7/8/2013 6:38pm by Shiloh Avery. Posted 7/8/2013 6:27pm by Shiloh Avery. I heard snippets of an interesting TED talk on Saturday. It was by musician Amanda Palmer, of whom I’d never heard, and whose music was not for me, but I found myself in a teary-eyed inspiration all the same. In a gist: Amanda puts her music out there for “free”, then asks her fans, etc. to support her in her artistic endeavors via kickstarter or other internet mediums. It wasn’t so much that which made my eyes blurry, but what she said about putting her faith in people. About asking people to support her and trusting them to do so. She calls it the “art of asking.” I realized that we too, as farmers, put a lot of faith in you. We ask you to show up on Wednesdays and Saturdays to purchase the fruits of our labor, we ask you to purchase those fruits in advance in the form of the harvest shares, and we ask you to put your faith in us to do our very best to bring you the best cleanest, healthiest fruits and veggies possible. As humans, slogging through this world together, we ask these things of each other. We’ve had a tough season. We’ve been hit with hail, floods, a late frost, a tomato disease that thwarted all our extreme efforts to keep tomato diseases at bay, and just yesterday, the worst flooding this valley has ever seen (with potential for more rain yet in the forecast). Yet today is a day of hope. The sun is shining for the first time in two weeks, the clouds are white, fluffy and unthreatening, and I’m thinking of you and all your outpouring of care and concern when you heard about our late blight disaster. And so here we are again, putting our faith in you to support us through this difficult season. Here we are, asking you to eat fewer tomatoes this year, to put your faith in us to grow lots of other beautiful and tasty veggies for you to enjoy, and to come back next year when we, once again, have the most beautiful and delicious organic tomatoes for you (as well as all the other delicious veggies!). And we thank you for your loyal support. Posted 7/1/2013 6:59pm by Shiloh Avery. To think we could grow things out of season. To think we could grow desert plants in the wet, humid southeast. To think we could grow anything! This is the arrogance of man. We thought we were finally set up. With the “little” hoop house, we could plant super early and have tomatoes in early June, and with the big tomato umbrella, we could have them right up until frost, or close at least. We ran from the weather, but we could not hide. For late blight, never before seen on this farm, blows in with the wind, and devastates overnight. Imagine us last week, with our hands about our faces like Edvard Munch’s “The Scream”, as the horror descended upon us. Our minds filled with the innate injustice of farming: “How could it be?”, “Why us?”, “What did we do wrong?” The answer, my friends, just blew in on the wind: the arrogance of man. We cannot control everything we mean to control. Sometimes, nature happens to be cruel. Posted 6/24/2013 8:40pm by Shiloh Avery. We get a lot of cooking magazines around here. When you live on a vegetable farm, you’re always looking for new recipes. No one ever told me I shouldn’t look at these magazines when I’m hungry though, so I did just that this past weekend. I mean, it’s not like grocery shopping! Seems harmless, but as a result, I planned enough meals using the farm’s veggies for what seems like several weeks (breakfast, lunch and dinner). Luckily, my folks showed up tonight just in time to help us eat all those meals I’d planned! And our insurance agent told me that if we didn’t stop posting pictures of what we eat around here, he was going to come over for supper too. Bon Appetit!